RIFT Guides | World of Rift: Counterstrike Betting: The beast has awoken? Counterstrike Betting: The beast has awoken? Since its initial appearance and popularity amongst game players Counter Strike has had a more declining player base. Not so long ago, some people even considered CS a dying game in esports. 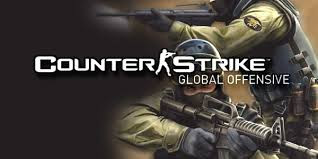 Something drastically changed for the better when in 2012 the new version of the game Counterstrike: Global Offensive was released. Even if the release where haunted by some major flaws for example unoptimized code resulting in pretty harsh fps drops. For a speed, tactics and accuracy shooter this was devastating. The fact that the competitive features were quite poorly constructed, also made a bad impression on the community. Things gradually improved after some updates in 2013, and in larger numbers players now began to abandon the final original version of the game Counterstrike 1.6, which was built on Valves old Half-life engine. One other thing that’s said helped to reverse the negative spiral was Valve directly supported the game in order to make it a popular esport. The bad ranking system has also changed and CS GO might now have one of the best matchmaking systems in all of esport. Things all in all have therefore really begun spinning for CS GO with hundreds of thousands of active players and also new major leagues being founded. With more players and a bigger community the big money has whether you like it or not hit the genre. Gone with the wind are the poor old days. How big can it get in the future? On the topic of big money: The fact that Counterstrike has become one of the most popular competitive games in esport has awakened some major commercial actors. Most prominent of these is the betting industry which until this point mainly has focused on traditional sports. Bet 365, Pinnacle sports and other brands have all betting in CS GO. Since the game is so competitive, the brands see the same opportunities to excite fans as any other sport. The potential has also been seen at marketers who have started to position themselves in different ways online. A great example of this is the search affiliaties in Sweden where new sites targeting esport betting, and counterstrike betting traffic pop ups daily. One example of this is Ebets.se who specificly targets the Swedish CS GO community who like to bet on their favorite teams. There are also several other takes on traditional betting, which involves skins. Among the more noticeable there are skin (for weapons) trading markets and skin casinos.